Any part of the genome that doesn't contain genes is called "junk DNA", repeated bits of instructions that were thought to serve no purpose. 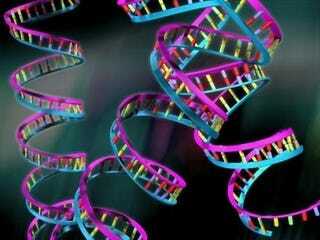 But now we've discovered that junk DNA is actually vital to the survival of the genes. A shocking amount of the human genome is made up of junk DNA - of the some 3 billion base pairs of DNA, 98% of them are junk. That leaves the remaining 2% to do the all-important work of coding the creation of proteins and other needed molecules. The term "junk DNA" is an unusually direct (even crass) one for science, and it makes it pretty clear how strongly it was thought that this part of the genome was utterly worthless. But evidence has been steadily building up over the last two decades that junk DNA has definite purposes, and now Princeton researchers have zeroed in on some very specific, absolutely vital functions. They studied the fruit fly genome and discovered its junk DNA aided the genes when the flies found themselves in difficult growth conditions, helping to make sure the genes switched on and off at the right times. "Over the past 10 to 20 years, research has shown that instructional regions outside the protein-coding region are important for regulating when genes are turned on and off. Now we're finding that additional copies of these genetic instructions are important for maintaining stable gene function even in a variable environment, so that genes produce the right output for organisms to develop normally. "To interpret and fully understand the genome, we need to think of it from an ecological and evolutionary perspective. Its purpose is to produce a healthy organism in a variable environment, so a good portion of it has evolved to deal with contingencies that organisms will experience in the real world." The researchers focused on enhancers, instructional regions of DNA that ensure genetic information is correctly applied to the creation of the vital proteins that give an organism its unique identity. Until recently, enhancers were thought to occur only in very close proximity to their target genes, but it's since been found that there are also secondary enhancers located much further away. These enhancers are held in reserve to take over in case of an emergency, such as extreme external temperature or genetic mutation elsewhere, that affects the primary enhancers. In their experiments with fruit flies, they removed these so-called shadow enhancers and then subjected the flies to tremendous stress. The experimental group without the enhancers fared far worse developmentally than the control group that still had the secondary enhancers, indicating that they were vital in preserving the integrity of the overall genome. If this explanation of junk DNA proves true in humans as well, the researchers think the distribution of shadow enhancers among humans - where some have them and some don't - might help explain why certain people develop certain genetic conditions while others are able to avoid them.